In the last posts I told a sad story, connected to climate change. However, there are also good stories to tell. One of them is the return of the Walruses. After being heavily hunted for over three centuries, only a few hundred remained in the 1950’s when they became protected. From this moment on, a slow but steady increase took place. Especially in the last decade we see a distinct increase in Walrus numbers, with new male colonies along the west coast and females and calves, who first returned on the eastern parts, now also making their way further west. It’s also nice to see that places once used are being recolonized. A good example of the effect of nature conservation. 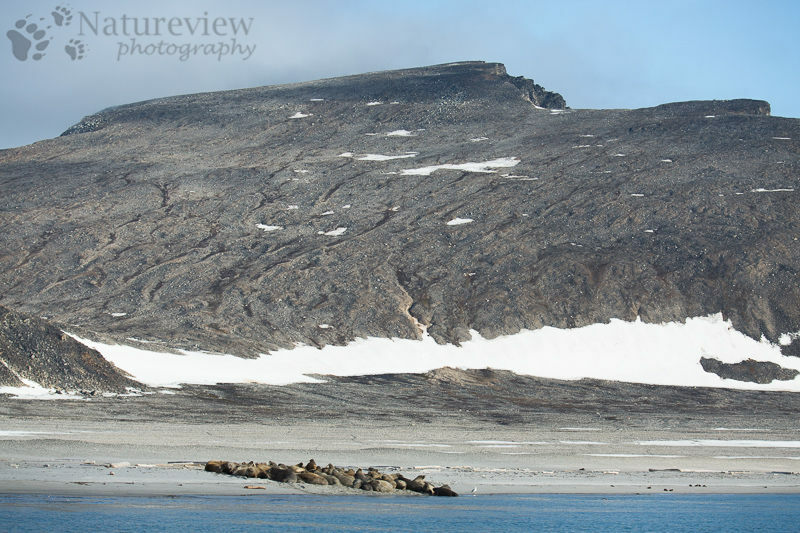 The above picture is made on Phippsøya, on the Sjuøyane, the northernmost islands on the Spitsbergen archipelago. I’ve been here several times before, but I don’t remember ever seeing females and calves here. This time we had a few swimming around. Nice to see those amazing animals return.